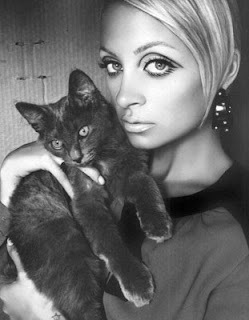 Nicole Richie recently blogged about the latest addition to her family, a pretty kitty named Tabitha Jones Madden. Photo taken with love by her mother Nicole Camille Richie." Tabitha is not Nicole's first feline friend.. Here she is getting catty at a photo-shoot. And pictured carrying her cat from the vet after it miraculously survived a 10-story fall with only a broken leg back in 2006. Congrats to entire Richie-Madden clan on their fluffy little bundle of joy! 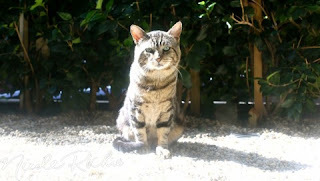 Hopefully Nicole will continue to provide updates on how Miss Tabitha is fitting in with her new forever family.